Elder York Guest House - Edinburgh - Scotland. Welcome to Elder York Guest House. Whether for business or pleasure, we want to make your visit to Edinburgh comfortable and enjoyable. Located in the heart of Edinburgh, Elder York offers a good standard of accommodation with the best of Scottish hospitality. We are in the midst of Edinburgh's world renowned New Town, in one of Edinburgh's Grade A listed buildings. Elder York is Edinburgh's most centrally located Guest House. 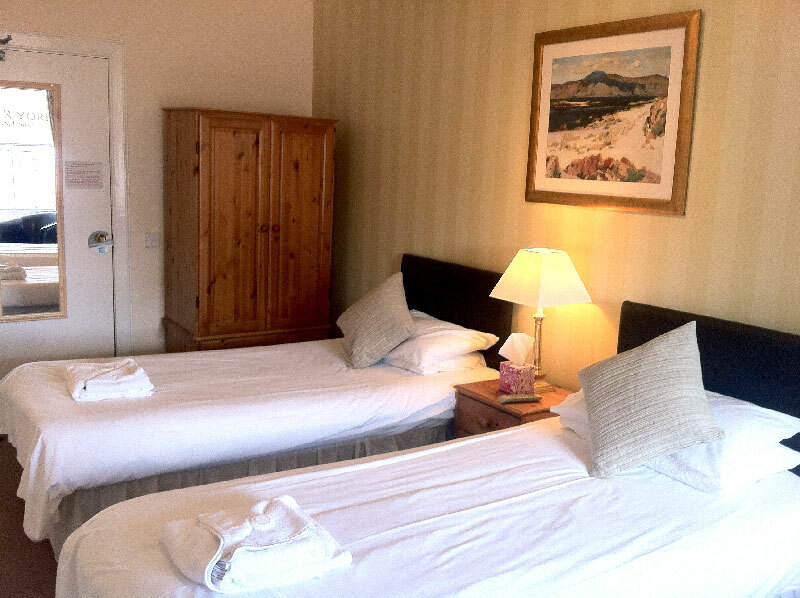 Elder York Guest House Edinburgh has 12 bedrooms, priced to meet all budgets. En suite facilities are available on request for most rooms. All rooms are tastefully decorated and have TV and tea / coffee facilities. We can provide a laundry service and a range of toiletries and sundries in case you have forgotten something.